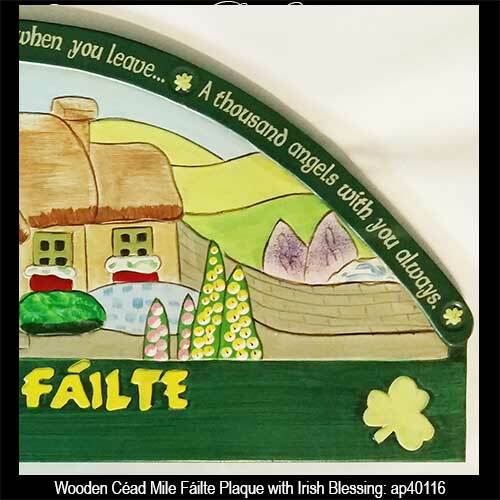 This wooden Irish blessing plaque features the Gaelic welcome of Céad Mile Fáilte. Sorry, this wooden Irish blessing is now sold out. The Céad Mile Fáilte greeting on this Irish welcome plaque is a hundred thousand welcomes in Gaelic. 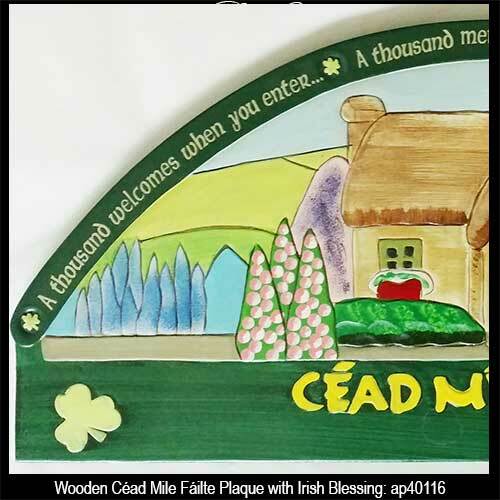 The Céad Mile Fáilte Irish welcome sign features a dimensional landscape that is enhanced with a cottage along with shamrocks and a blessing. 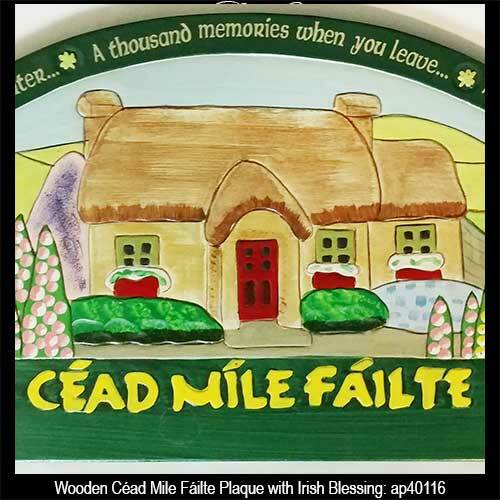 The hand painted Céad Mile Fáilte plaque measures 21" wide x 9 1/4" tall x 1/2" thick; this carved design that is ready to hang on your wall. A thousand welcomes when you enter. A thousand memories when you leave. A thousand angels with you always.